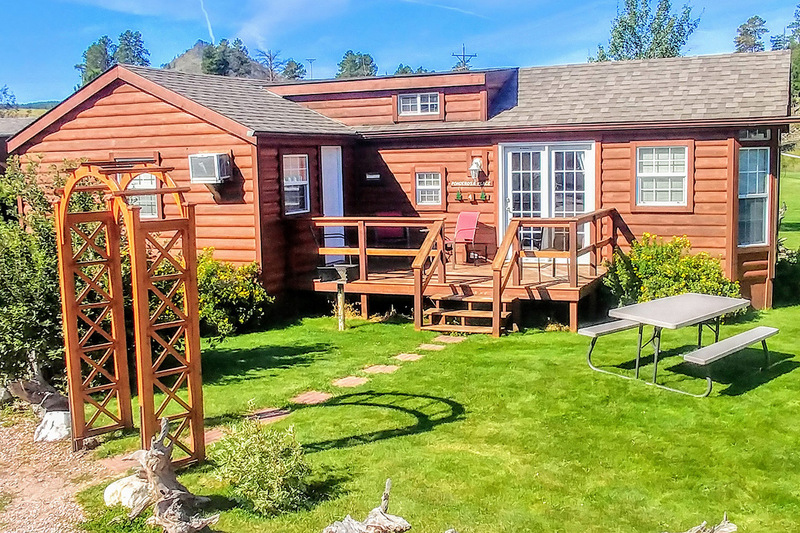 Our cozy cabins by Hill City and Keystone sleep from 1 to 8 people! This 2-bedroom cabin sleeps 6 people or more if you use the children’s sleeping loft. 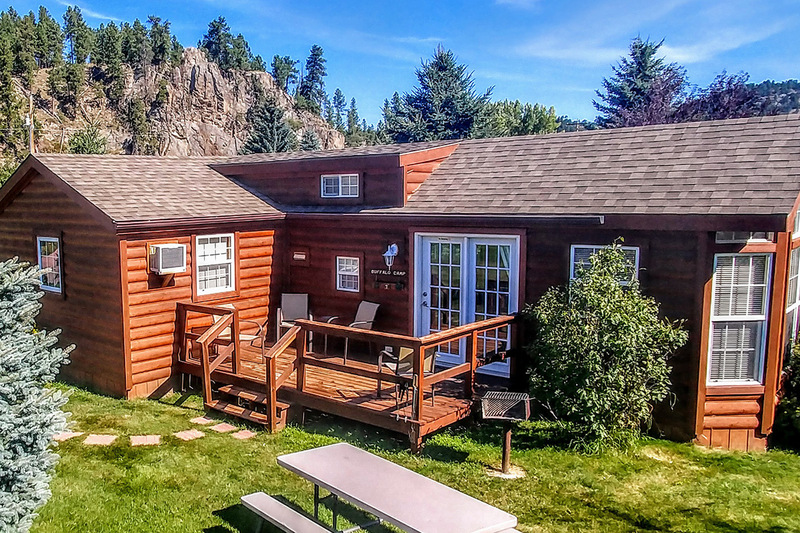 Mountain Goat Gulch has a full kitchen, two full bathrooms, and a private deck, picnic table and charcoal grill. This 1-bedroom cabin sleeps four people and has a sleeping loft for children. 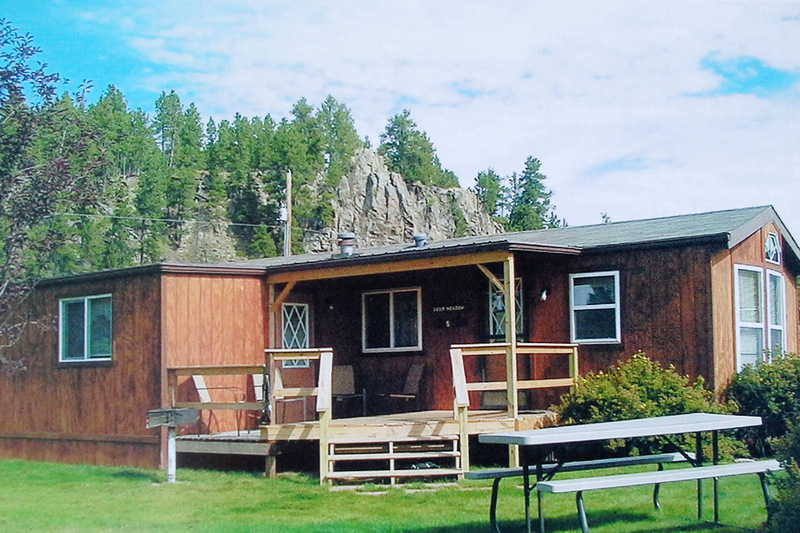 The Bear’s Den vacation cabin features a complete kitchen, a full bathroom, and a deck with a charcoal grill and table. This 1-bedroom cabin sleeps four people and has a sleeping loft for children. 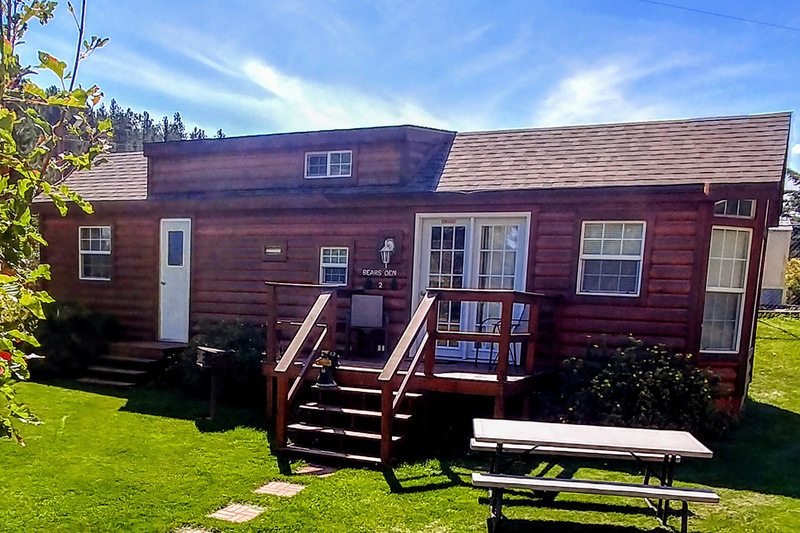 The Eagle’s Nest vacation cabin features a complete kitchen, a full bathroom, and a deck with a charcoal grill and table. 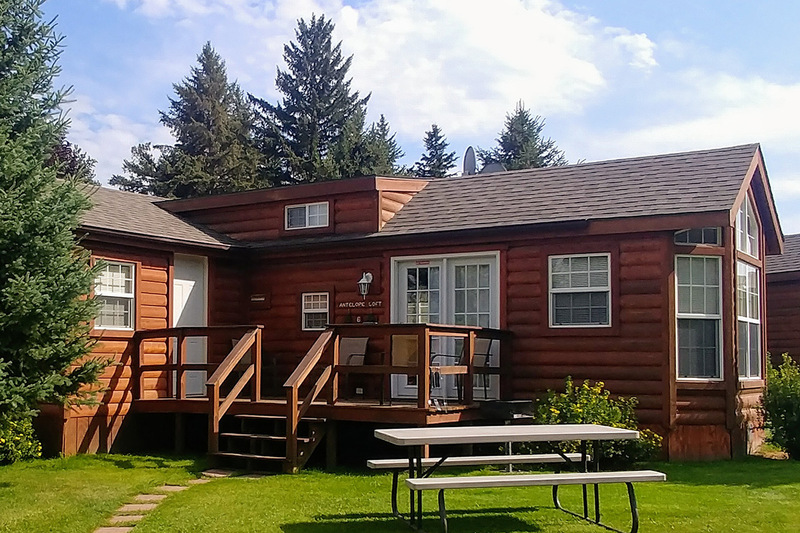 This 2-bedroom cabin sleeps 6 people or more if you use the children’s sleeping loft. 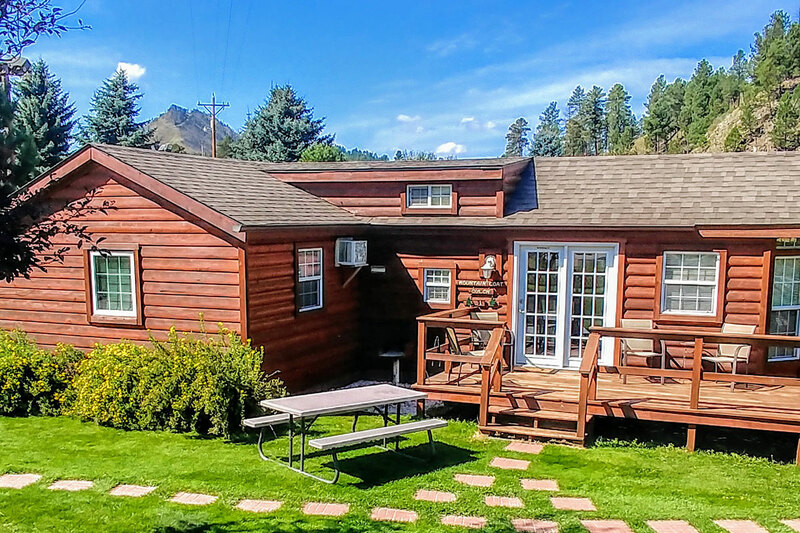 Ponderosa Place has a full kitchen, two full bathrooms, and a private deck with a table and charcoal grill. This 2-bedroom cabin comfortably sleeps eight people. It has a master bedroom with a queen bed and a large, second bedroom with two queen beds divided by a privacy wall and a full size fold-out-bed in the living room. 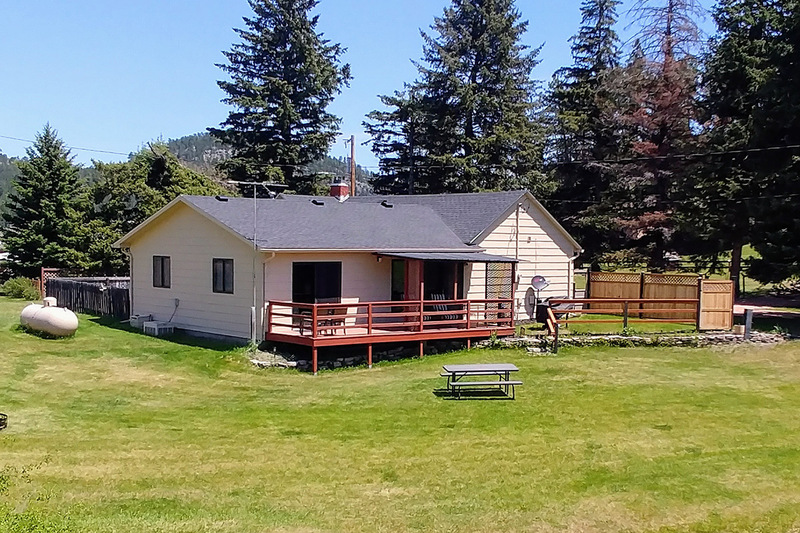 Deer Meadow has two full bathrooms, laundry facility, full kitchen and a deck with a picnic table and charcoal grill. This 2-bedroom cabin sleeps 6 people or more if you use the children’s sleeping loft. 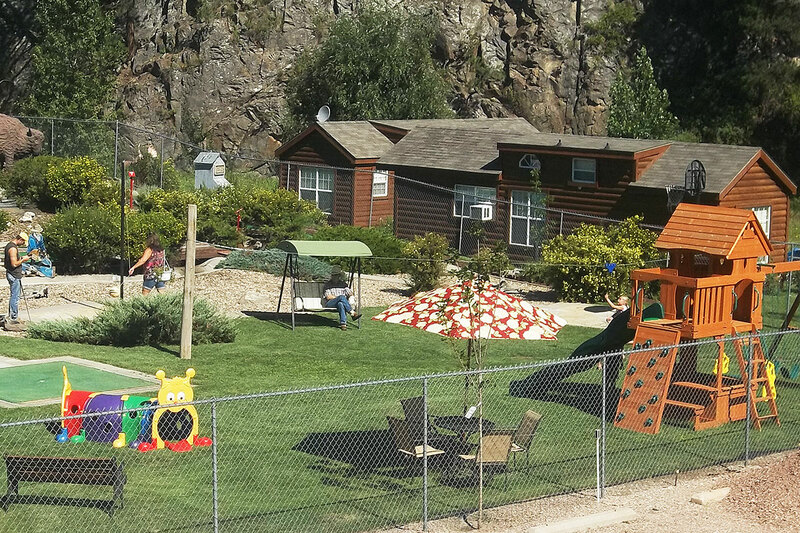 Antelope Loft has a full kitchen, two full bathrooms, and a private deck with a table and charcoal grill. This 2-bedroom cabin sleeps 6 people or more if you use the children’s sleeping loft. Buffalo Camp has a full kitchen, two full bathrooms, and a private deck with a table and charcoal grill. 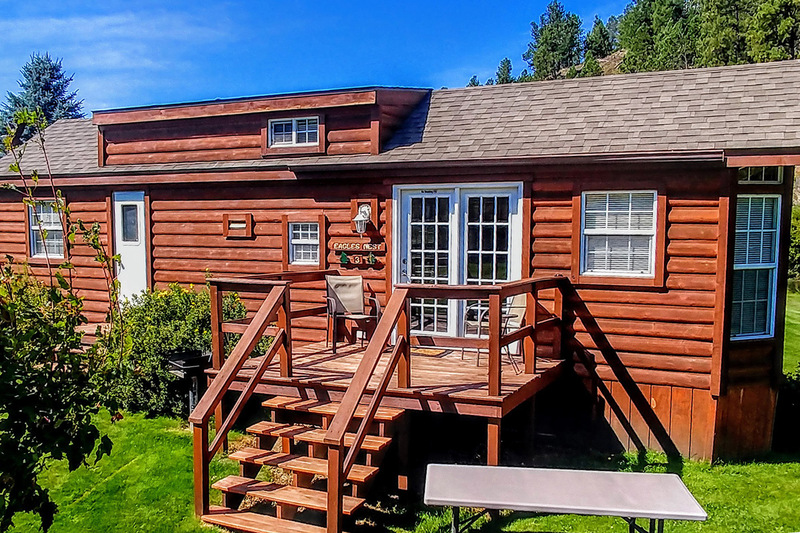 Creekview Cottage accommodates larger families or groups in a large bedroom with 2 queen beds divided by a privacy wall with a full bathroom.